36 Commercial Real Estate & Properties in Underwood are listed in 6 categories. We have 19 Industrial Warehouses Sale , 18 OfficesSale , 6 Medical and Consulting PropertiesSale , 5 Retail ShopsSale , 3 Other Commercial PropertiesSale and 3 Development LandsSale .
. 1964m2 of Mixed Use Land on busy Kingston Road . Currently leased to Redback Landscaping . New 5 + 5 Year Lease just signed . 180m2 Warehouse . 2 Roller Door Access to Warehouse . Small Office . Easy access to M1 Logan Road, Kingston Road, Compton Road and surrounding area encompass the Underwood business centre which is a mixed use urban development area incorporating the Underwood/Slacks Creek industrial estate as well as retail, commercial and office establishments. Retailers in Underwood include Bunnings, Big W and Woolworths as well as The Zone, which is a privately owned retail estate. Ideal Commercial investment with Government tenant Area of approx. 150m2 fully fitted Strategic location with uplifting business & retail activities in area of Underwood Current lease term of 4 years plus options Near new & modern office appeal with minimal maintenance Short stroll to retail centres, food premises & public transport Inspect today with Exclusive Agent Location Logan Road, Kingston Road, Compton Road and surrounding area encompass the Underwood business centre which is a mixed use urban development area incorporating the Underwood/Slacks Creek industrial estate as well as retail, commercial and office establishments. Retailers in Underwood include Bunnings, Big W and Woolworths as well as The Zone, which is a privately owned retail estate. Areas from 50m2 to 1172m2 Positioned in heart of Underwood with access to public transport, retail & food services Open plan with air conditioning, ceiling grid lightings Ample secure parking available Flexible floor plate to suit individual requirement Inspect today with Marketing Agent Logan Road, Kingston Road, Compton Road and surrounding area encompass the Underwood business centre which is a mixed use urban development area incorporating the Underwood/Slacks Creek industrial estate as well as retail, commercial and office establishments. Retailers in Underwood include Bunnings, Big W and Woolworths as well as The Zone, which is a privately owned retail estate. Ideal workshop or depot with onsite storage Easy access to M1,Exceptional exposure to Kingston Road Sites Rarely available in this area Located in prominent location within the emerging Commercial/Residential precinct in the New town plan 2 Substantial Bunning outlets, Mcdonalds, Dulux, Bristol, Big W and Woolworths etc Mix used redevelopment site (STCA ) Roller door access Solid Rental income 2 yeas lease tenant,$7500 per month +GST+Rate Logan City Mixed use zone: Office, Shop, Food& Drink outlet; Shopping centre & Child care centre, Residentail Development allowed to 15.7 metres height Prominant location in local Council new town plan and new commercial residential precinct Area: Office: 20m2(approx.) Warehouse: 180m2(approx.) Amenities: 20mÂ²(approx.) Total: 220m2(approx.) Land area: 1964m2(approx.) Driveway: 592m2 (approx) Permanent use Total: 2556m2 land Location: Underwood is located approximately 20 kilometres south east of the Brisbane CBD in the Brisbane Gold Coast corridor. This area boasts an extensive and diverse mix of commercial, industrial and retail property, as well as a considerable established residential community. The greater Springwood/Underwood region has strong surrounding population growth with a varied demographic of residents and workforce. The area is well serviced by the Pacific Motorway, which provide links to both the north and south as well as easy access to the Logan and Gateway Motorways. Price:Offers from $2.35million Inspection: By appointment Address: 56 Kingston Road Underwood QLD Contact: Conan Li 0404 617 767/ 07 3373 9887 Email: conan.li@yong.com.au Disclaimer: We have in preparing this information used our best endeavours to ensure that the information contained herein is true and accurate, but accept no responsibility and disclaim all liability in respect of any errors, omissions, inaccuracies or misstatements that may occur. Prospective purchasers should make their own enquiries to verify the information contained herein. 536m2 warehouse area 2 cold rooms and 1 freezer totalling 225m2 in size 90m2 of air conditioned office over 2 levels Large boardroom or open plan desk area on the upper level Fitted with server cables Container height electric roller door Premises fitted with alarm system Perfect for production business or importing business Logan Road, Kingston Road, Compton Road and surrounding area encompass the Underwood business centre which is a mixed use urban development area incorporating the Underwood/Slacks Creek industrial estate as well as retail, commercial and office establishments. Retailers in Underwood include Bunnings, Big W and Woolworths as well as The Zone, which is a privately owned retail estate. Great Office/Warehouse Investment in Underwood!! 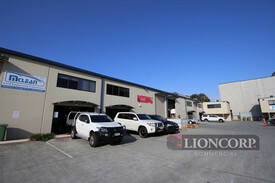 263 m2 Office/Warehouse in Underwood !! Well situated between Brisbane and Gold Coast Close to all major traffic ; M1/ Pacific Highway, Gateway and Logan Motorways Prime Location Within A Great Complex In a small complex of only 10 units. Open plan space for 10+ staff Full amenities kitchen, shower and toilet Ample visitor park in complex Don't miss out this chance as the owner is really keen to sell !! All information contained herein is gathered from sources we consider to be reliable. However we cannot guarantee or give any warranty about the information provided and interested parties must solely rely on their own enquiries. Standing Tenant Since '2008' Returning $73,790 Net + Outgoings + GST Brand New 4+4+4 year lease Main road exposure with ideal signage opportunity A grade Office space Personal guarantees and Bond in Place Sort after Unit Complex Contact the exclusive Ray White agents today Ray White is pleased to offer this outstanding Commercial investment. With unrivaled exposure to Kingston road and great access in this well laid out complex. Minutes to the Pacific and Logan Motorways connecting your Investment with the Brisbane and Gold Coast corridors. Superb opportunity for Superannuation investment Single floor commercial office with prime & secured tenants Secured Government & Community care group Strategic location with strong growth in Underwood Surrounded by National retailers, medical, food & residential Astute investors should inspect today with Exclusive Agent Logan Road, Kingston Road, Compton Road and surrounding area encompass the Underwood business centre which is a mixed use urban development area incorporating the Underwood/Slacks Creek industrial estate as well as retail, commercial and office establishments. Retailers in Underwood include Bunnings, Big W and Woolworths as well as The Zone, which is a privately owned retail estate. Rare opportunity with approx. 254m2 Including cool/cold room plants and facilities Superb location in Brisbane Southside 3 phase power Tenant currently paying approx. $47,000 p.a. nett Initial lease term of 3 years plus options Logan Road, Kingston Road, Compton Road and surrounding area encompass the Underwood business centre which is a mixed use urban development area incorporating the Underwood/Slacks Creek industrial estate as well as retail, commercial and office establishments. Retailers in Underwood include Bunnings, Big W and Woolworths as well as The Zone, which is a privately owned retail estate. Approx. 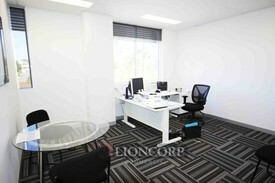 164m2 of office in heart of Underwood Offices, boardroom, cabled workstations, full kitchen and balcony Server room with 4 racks, soundproofed and separate air condition Fully carpeted, ducted air con, just like new Exceptional presentation with high speed data access, and NBN ready 3 secure basement carparks with additional open car parking Inspect today with Exclusive Agent! This is one not to be missed Logan Road, Kingston Road, Compton Road and surrounding area encompass the Underwood business centre, which is a mixed use urban development area incorporating the Underwood/Slacks Creek industrial estate as well as retail, commercial and office establishments. Retailers in Underwood include Bunnings, Big W and Woolworths as well as The Zone, which is a privately owned retail estate. Superb investment in heart of growing Underwood Five year lease with options to training company Approx. 229m2 on ground floor with massive exposure Currently returning $72,000.00 p.a. nett with solid increase Security bond and guarantee in place Astute superannuation and family investors should inspect immediately Motivated Seller! Logan Road, Kingston Road, Compton Road and surrounding area encompass the Underwood business centre, which is a mixed use urban development area incorporating the Underwood/Slacks Creek industrial estate as well as retail, commercial and office establishments. Retailers in Underwood include Bunnings, Big W and Woolworths as well as The Zone, which is a privately owned retail estate. 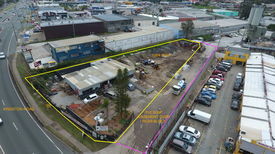 The property is located in the popular Underwood/Springwood industrial precinct of the South M1 Corridor, just 20 kilometres south east of the Brisbane CBD. The suburb has excellent access to the nearby Logan Motorway and M1 Pacific Motorway. This enables an occupier to benefit from an easy connection to all of South East Queensland, including Brisbane, Ipswich and Gold Coast CBD's, as well as, the Port of Brisbane and Brisbane Airport. 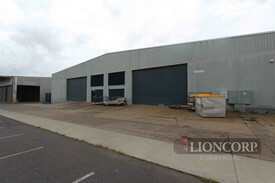 Key features include: Industrial Warehouse 834m2 with minimum 6 metre clearance Concrete slab construction with roller door access 834m2 All Ground Floor area Suitable for frozen foods production 1031m2 Gross floor area 1. Office mezzaanine 15x6 mtrs =90m2 2. Downstairs Office/Toilet/Staff room 15x6mtrs= 90m2 3. Warehouse Floor: 851m2 All inclusive of the Choc room/Chiller/Freezer 4.Cool Room 5x7 mtrs=35m2 5. Chocolate room at 17 degrees 15x8mtrs= 120m2 6. 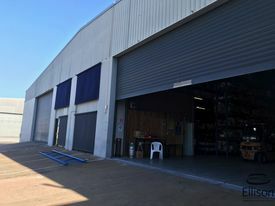 Freezer 10x7 mtrs= 70m2 Price: Contact agent Inspection: By appointment Address: 28 34 Nevilles St Underwood QLD Contact: Conan Li 0404 617 767 Email: conan.li@yong.com.au Disclaimer: We have in preparing this information used our best endeavours to ensure that the information contained herein is true and accurate, but accept no responsibility and disclaim all liability in respect of any errors, omissions, inaccuracies or misstatements that may occur. Prospective purchasers should make their own enquiries to verify the information contained herein. Description: Two tilt slab buildings on site New 3 + 3 lease back at settlement Tenant established for many years Room for multiple 40 foot containers Abundance of on site parking Fully sealed site Security fenced 8 meter + ceiling height Contact Lance Hartley for an inspection or further details 0418 155 607 Area: Office: 618m2 Warehouse: 6214m2 Total: 6832m2 Land Area: 11,590m2 Location: Underwood is located approximately 20 kilometres south east of the Brisbane CBD in the Brisbane Gold Coast corridor. This area boasts an extensive and diverse mix of commercial, industrial and retail property, as well as a considerable established residential community. The greater Springwood/ Underwood region has strong surrounding population growth with a varied demographic of residents and workforce. The area is well serviced by the Pacific Motorway, which provide links to both the north and south as well as easy access to the Logan and Gateway Motorways. 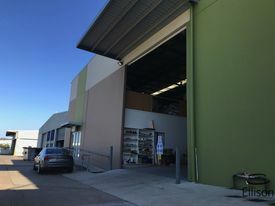 Description: Owner retiring and keen to sell Excellent condition Very good access Area to unload containers Clear span Parking at front door Contact Lance Hartley for an inspection or further details Location: Underwood is located approximately 20 kilometres south east of the Brisbane CBD in the Brisbane Gold Coast corridor. This area boasts an extensive and diverse mix of commercial, industrial and retail property, as well as a considerable established residential community. The greater Springwood/ Underwood region has strong surrounding population growth with a varied demographic of residents and workforce. The area is well serviced by the Pacific Motorway, which provide links to both the north and south as well as easy access to the Logan and Gateway Motorways.